The winding road beckons you, each corner revealing a new delight and a promise of more to come. 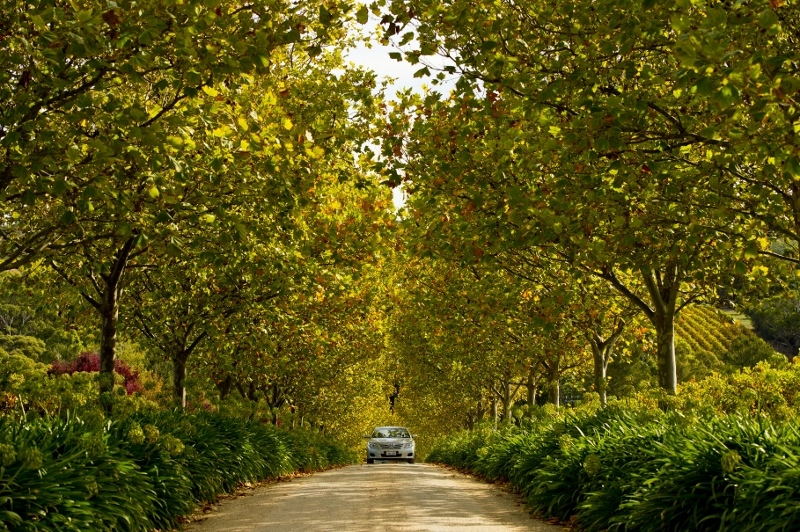 It’s a pleasure to drive in the Adelaide Hills, with closely spaced townships, quiet roads and ever-changing scenery. The South Eastern Freeway will have you there in a flash with key exit points at Crafers, Stirling, Bridgewater, Hahndorf and Mount Barker before it continues to the to the Murry River, Lakes and Coorong. But consider a more scenic route from Adelaide. North East Road and Gorge Road lead to the many attractions of the northern Adelaide Hills (gateway to the Barossa region), while Norton Summit Road or Old Norton Summit Road will deliver you to the heart of the Hills and an agricultural landscape of rolling hills covered in vineyards and orchards. This is cherry, apple and pear country! Greenhill Road guides you through the leafy eastern suburbs of Adelaide past Waterfall Gully and through Cleland Conservation Park before arriving in the picturesque Piccadilly Valley. You’ll find green pastures and more vineyards as you traverse dairy county in the southern Adelaide Hills, leading to the Fleurieu Peninsula with its beautiful coastline and wine regions. A favourite drive is between the bustling German village of Hahndorf to Birdwood in the north, along the Onkaparinga Valley Road taking in wineries, roadside stalls and charming townships such as Balhannah, Oakbank and Woodside (slight detour to Lobethal is recommended). Navigational tip – don’t rely on your sense of direction to navigate the Adelaide Hills, bring a good map with you or pick one up at the Adelaide Hills Visitor Information Centre. The Epicurean Way food and wine touring route seamlessly links together the four iconic wine regions of Adelaide Hills, McLaren Vale, Barossa and Clare Valley showcasing sumptuous local produce and a superb array of wines, set against a backdrop of spectacular scenery.